Prof. John Brignell: “The creation of the UN IPCC was a cataclysmic event in the history of science. Here was a purely political body posing as a scientific institution. Through the power of patronage, it rapidly attracted acolytes. ‘Peer review’ soon rapidly evolved from the old style refereeing to a much more sinister imposition of The Censorship." The Associated Press’ Seth Borenstein has attempted to bolster the scientific credentials of the UN IPCC, Borenstein wrote on October 7: “The Nobel Prize-winning Intergovernmental Panel on Climate Change issued its gloomy report at a meeting in Incheon, South Korea.” But what Borenstein leaves out is that the UN IPCC won the Nobel PEACE Prize for political activism, not a Nobel scientific award. And there is good reason why the UN IPCC won’t be winning any Nobel prizes for science. See below. 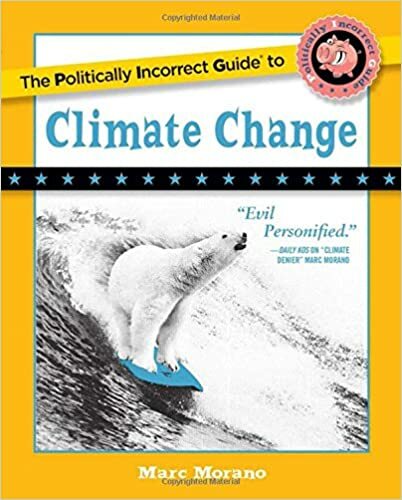 The new book, “The Politically Incorrect Guide to Climate Change”, reveals, that the UN IPCC is not a scientific body. The book documents how the UN climate “sausage” is made and it’s not pretty. The notion that “hundreds” or “thousands” of UN scientists agree does not hold up to scrutiny. Fifty-two scientists participated in the much ballyhooed 2007 IPCC Summary for Policymakers. The 2013 5th Assessment Report by the UN IPCC increased the number of participating scientists by fourteen to just sixty-six scientists. Remember, this is allegedly a scientific process. And yet it somehow features “government officials” having a say in each line of the report’s summary. In fact the key scientific case for CO2 driving global warming was reached by a very small gaggle of people. “That particular consensus judgement, as are many others in the IPCC reports, is reached by only a few dozen experts in the specific field of detection and attribution studies; other IPCC authors are experts in other fields,” Hulme explained. UN climate panel lead author William Schlesinger freely admits that very few UN scientists are climate experts. “Actually there’s a huge range of disciplines represented there. I’m going to have to give you a guess. That’s something on order of 20% have some dealing with climate,” Schlesinger conceded in 2009. In April 2014 Harvard professor Robert Stavins revealed his disgust with the UN IPCC process for which he was a lead author: “It has been an intense and exceptionally time-consuming process, which recently culminated in a grueling week. . .some 195 country delegations discussed, revised, and ultimately approved (line-by-line) the “Summary for Policymakers” (SPM) . . .the resulting document should probably be called the Summary by Policymakers, rather than the Summary for Policymakers.20 During one session, Stavins said he was one of only two IPCC authors present, surrounded by “45 or 50” government officials. UN IPCC lead author Dr. Richard Tol revealed how business at the UN climate panel, the IPCC, is really conducted. “The fact that there are people, sort of, who are nominally there does not really mean that they support what is going on. I mean, [IPCC] working group two was essentially run by a small clique of people,” Tol said after testifying to the U.S. Congress. How the Global Warming Narrative Undermines Genuine Scientific Research (an Insider Explains) – “In this atmosphere, Ph.D. students are often tempted to tweak their data so as to fit the ‘politically correct picture’. Some, or many issues, about climate change are still not well known. Policymakers should be aware of the attempts to hide these uncertainties under a unified picture. I had the ‘pleasure’ to experience all this in my area of research.” —Eduardo Zorita, UN IPCC contributing author. The UN IPCC reports are often used to claim the science is “settled.” New Scientist magazine once dubbed the IPCC “the gold standard of consensus on climate change science.” Well, if there was any doubt before, Climategate exposed the IPCC to be fool’s gold. But even before Climategate, there was good reason to realize that the UN IPCC was more political than scientific. On July 23, 2008, more than a year before the Climategate emails were leaked, John Brignell, an engineering professor emeritus at the University of Southampton who had held the chair in Industrial Instrumentation, accused the UN of censorship. 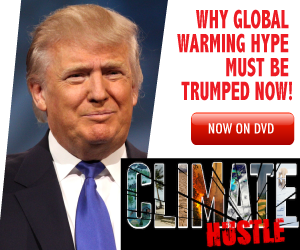 “The creation of the UN IPCC was a cataclysmic event in the history of science. Here was a purely political body posing as a scientific institution. Through the power of patronage, it rapidly attracted acolytes. ‘Peer review’ soon rapidly evolved from the old style refereeing to a much more sinister imposition of The Censorship,” wrote Brignell. “As [the] Wegman [report] demonstrated, new circles of like-minded propagandists formed, acting as judge and jury for each other. Above all, they acted in concert to keep out alien and hostile opinion. ‘Peer review’ developed into a mantra that was picked up by political activists who clearly had no idea of the procedures of science or its learned societies. It became an imprimatur of political acceptability, whose absence was equivalent to placement on the proscribed list,” Brignell wrote. As McLean explained, “To sum up, the IPCC is a single-interest organisation, whose charter assumes a widespread human influence on climate, rather than consideration of whether such influence may be negligible or missing altogether. IPCC to which my expertise is relevant as having become politicized. In addition, when I have raised my concerns to the IPCC leadership, their response was simply to dismiss my concerns,” Landsea wrote in a January 17, 2005, public letter. “I personally cannot in good faith continue to contribute to a process that I view as both being motivated by pre-conceived agendas and being scientifically unsound.” Landsea is currently with the Science and Operations Officer at the National Hurricane Center. The process in which UN IPCC documents are produced is simply not compatible with good science. The UN IPCC’s guidelines stipulate that the scientific reports have to be “change[d]” to “ensure consistency with” the media-hyped Summary for Policymakers. Paul Reiter, a malaria expert formerly of the Centers for Disease Control and Prevention, was part of the UN IPCC assessments. But Reiter resigned in disgust and declared the “consensus” claims a “sham.” Reiter, a professor of entomology and tropical disease with the Pasteur Institute in Paris, threatened legal action to have his name removed from the IPCC. “That is how they make it seem that all the top scientists are agreed,” he said on March 5, 2007. “It’s not true,” he added. Laframboise, who authored the 2011 book exposing the IPCC titled The Delinquent Teenager Who Was Mistaken for the World’s Top Climate Expert,” reported: IPCC reports therefore lack scientific integrity. People who rely on IPCC reports are basing their decisions on documents that have no scientific integrity. The IPCC goes back, after the fact, and changes the original scientific report so that it aligns with the politically negotiated summary. The UN IPCC is stacked with environmental activists. Climate policy expert Donna Laframboise has documented the green activists who serve on the IPCC. Ove Hoegh-Guldberg, for example, who has served as a lead author of the IPCC reports is “a full-blown environmental activist” with a “long history of employment with both the WWF and Greenpeace,” Laframboise’s research revealed. “The IPCC has a very long, very sordid history of recruiting personnel linked to activist organizations,” Laframboise explained. “The World Wildlife Fund is an NGO. Greenpeace is an NGO. The people who work for those organizations are not scientific experts. They are advocates, activists, and partisans. They have an agenda. They are paid a salary to advance that agenda,” she added. And the IPCC’s motivation is to generate media impact for their reports. “An ambitious team wants to make a bigger splash than last time. It’s worse than we thought. We’re all gonna die an even more horrible death than we thought six years ago. Launching a big report in one go also means that IPCC authors will compete with one another on whose chapter foresees the most terrible things,” Tol said. An impressive array of former UN IPCC scientists are completely disillusioned with the climate panel and its politically manufactured “scientific” conclusions. They’ve seen how the sausage is made, and they’re willing to testify to the dishonesty of the process.